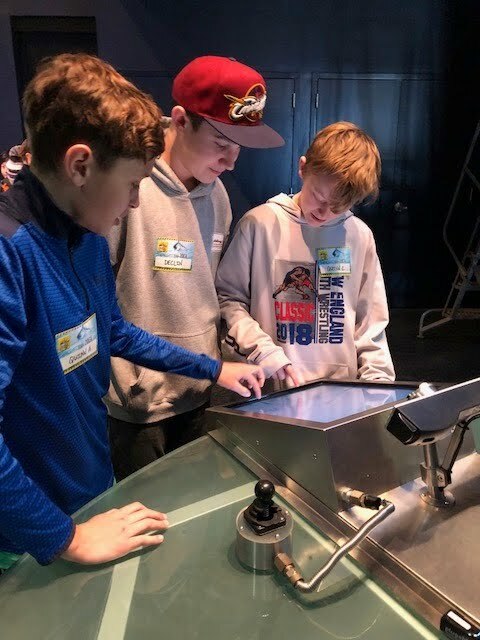 Mr. Bertrand’s and Mrs. Casey’s sixth grade homerooms took a field trip to the Gulf of Maine Research Institute in Portland on Wednesday, April 11, 2018. The hands-on program explores five species found in the Gulf of Maine and how their relationships are changing over time. On Thursday, April 12, Mr. Harris’ and Mrs. Roy’s homerooms will get to attend and explore!